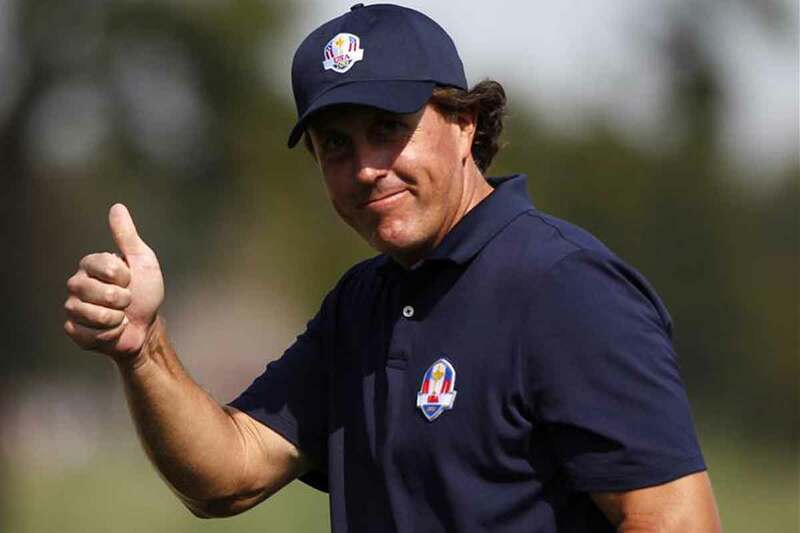 Phil “Lefty” Mickelson is an American Pro Golfer with 42 wins on the PGA Tour. His wins include three Masters titles he won on 2004, 2006, and 2010, a PGA Championship title in 2005, and an Open Championship title in 2013. He has made records for being one of the sixteen golfers to win three out of the four major championships. He has yet to make his win in the U.S. Open tournament to which he has already placed runner-up for six instances. He has also been in the top 10 Official World Golf Ranking for an estimate of more than 700 weeks. Despite being right handed, he is more famous for his signature move, the left-handed swing. In May 2012, he has been included in the World Golf Hall of Fame. He was born Philip Alfred Mickelson on June 16, 1970, in San Diego, California. He grew up in Scottsdale, Arizona and in San Diego. 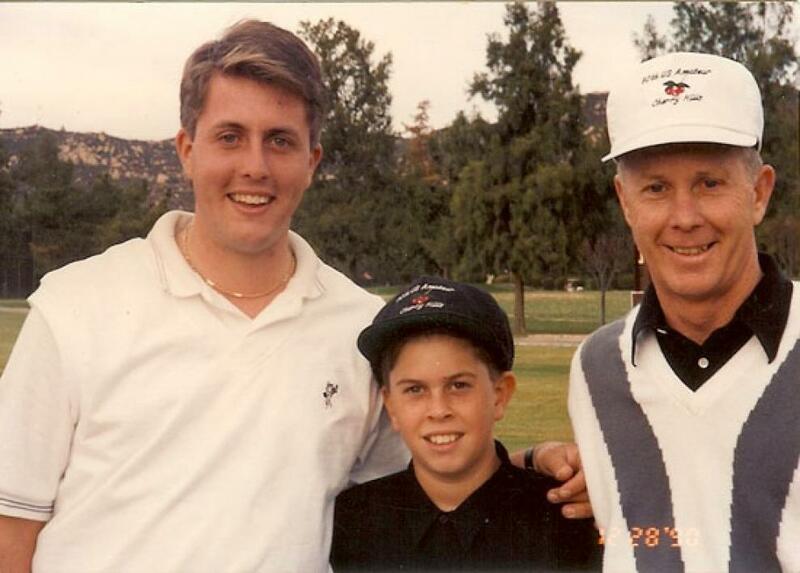 He has played golf since he was younger as an influence of his father. They played in their backyard when his father has some free time in between his work. 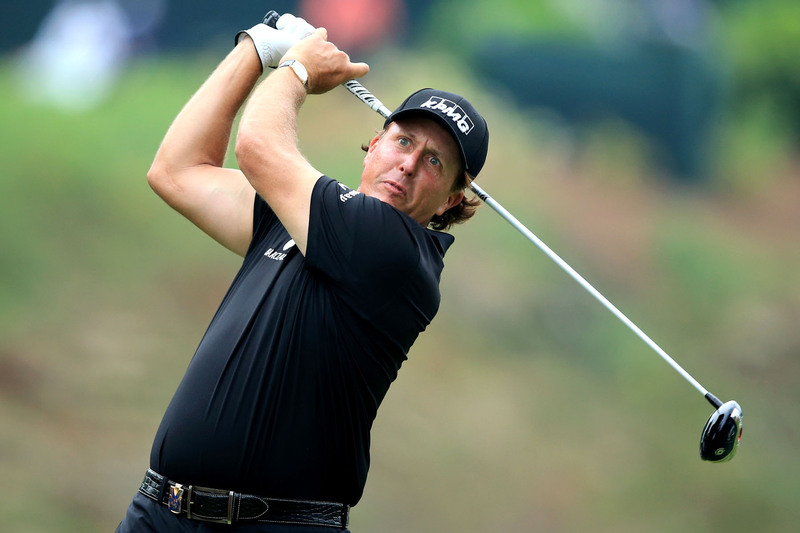 His father, Philip Mickelson, was a former naval aviator and a commercial airline pilot. His mother is Mary Santos Mickelson. He has a sister named Tina and a brother named Tim. 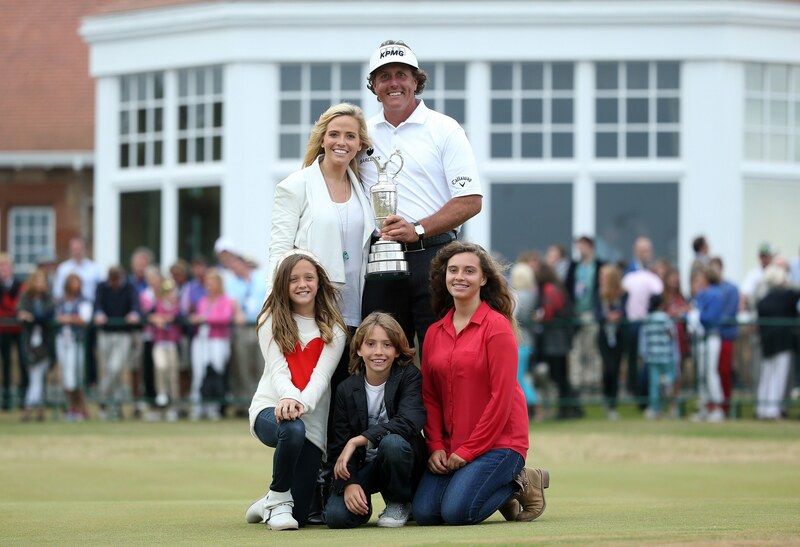 Phil met his now-wife, Amy McBride Mickelson, back in his college days. She was a junior by the time he graduated. She has cheered for the Phoenix Suns while she was still studying. They dated since 1992 and he proposed to her two years later. They finally got married on November 16, 1996. Three years after their marriage, they welcomed their first daughter, Amanda Brynn. In 2001, they had another daughter and named her Sophia Isabel. Their youngest and only son was born in 2003 and has the name Evan Samuel. The third pregnancy of Amy was difficult. She had a ruptured artery in her uterus during childbirth and the baby was not breathing. Fortunately, the doctors and nurses were able to stabilize both Amy and Evan. Amy has had breast cancer too in 2009. She had to miss Phil’s games and rumors sparked that they were divorcing. However, the couple revealed the truth about her diagnosis. To support his wife, Phil took an indefinite leave from the field but eventually went back after she has been cancer-free. These days both of them can be seen in various breast cancer charity events. His eldest daughter, Amanda, attended Pacific Ridge School for her high school education and will be attending Brown University with a degree in Egyptology. He studied at the University of San Diego High School and finished in 1988 before studying at the Arizona State University under a golf scholarship. He finished his degree in 1992. While in the university, he played amateur golf and won three NCAA championship titles as well as Haskins Awards in 1990, 1991, and 1992. He is the first left-handed golfer to win the U.S. Amateur title and has a known record for most individual championship titles for NCAA. By the time he hit twenty years, he has already won a tour event—the sixth amateur who has won any tour event.